Now, you can add wired network access through the USB-C™ or Thunderbolt™ 3 port on your laptop or desktop computer, and connect to your USB 3.0 (Type A) devices with ease. This Gigabit Ethernet network adapter gives you access to two reliable GbE ports, and without having to install drivers. It's a great companion for your MacBook, Chromebook Pixel™, Dell™ XPS™ 12, Dell Latitude™ 12 7000 Series 2-in-1 or another device that has a USB Type-C™ port. Get up and running quickly. 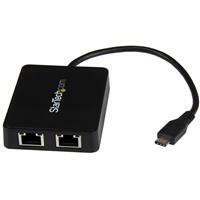 The network adapter provides native driver support to ensure a quick setup. 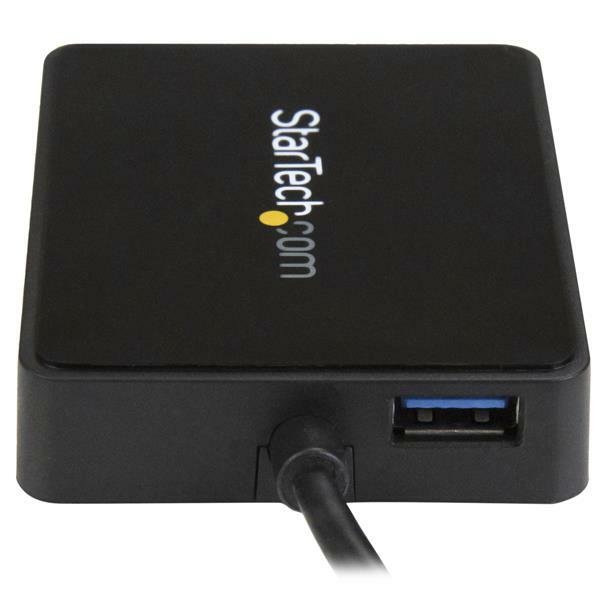 Simply plug the adapter into the USB Type-C port on your laptop and connect to your network. The network adapter chipset offers native driver support in Chrome OS™ and Windows® 8.1, and supports Mac OSX (10.10) with driver installation. 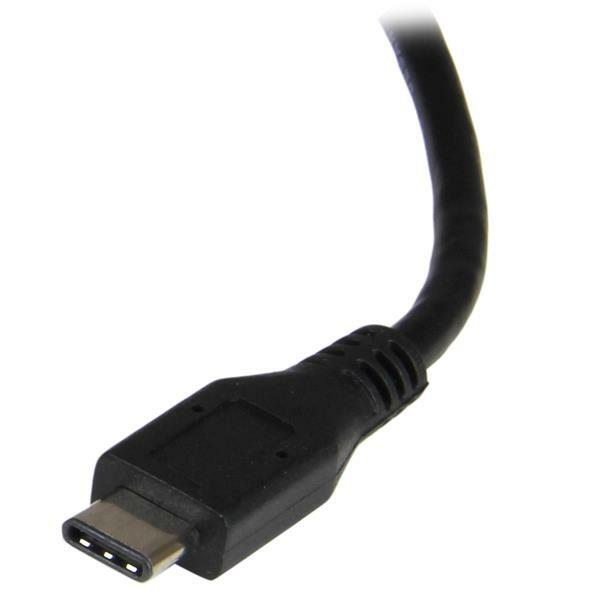 The USB Type-C connector is smaller and easier to use than previous USB connectors. It’s a reversible plug, so you can connect to your devices with either side facing up. You can insert the cable the right way every time, without frustration or the risk of port damage. 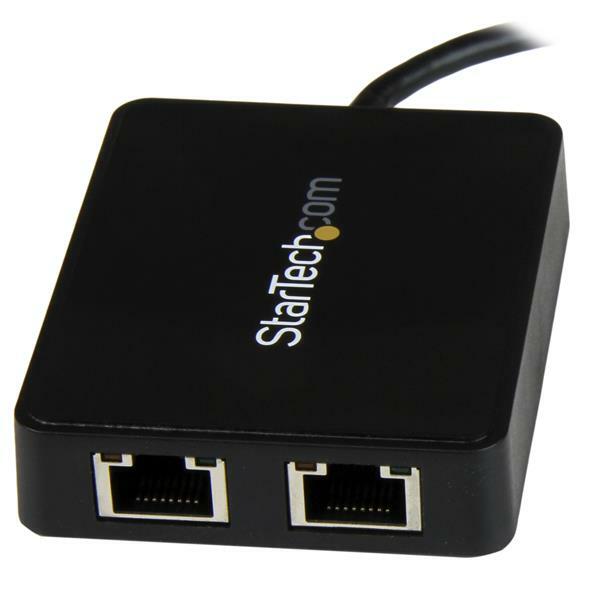 The US1GC301AU2R is backed by a StarTech.com 2-year warranty and free lifetime technical support.